If you are as clueless as I was a week ago, Vishu is a Hindu festival celebrated in some parts of India to usher in the Solar New Year based on their Malayalam Calendar. As is with other New Year celebrations in most cultures all over the world, Vishu is often met with much optimism for the year to come. Vishukkani, which literally means “the first thing seen on the day of Vishu after waking up”, is very telling of this kind of optimism. 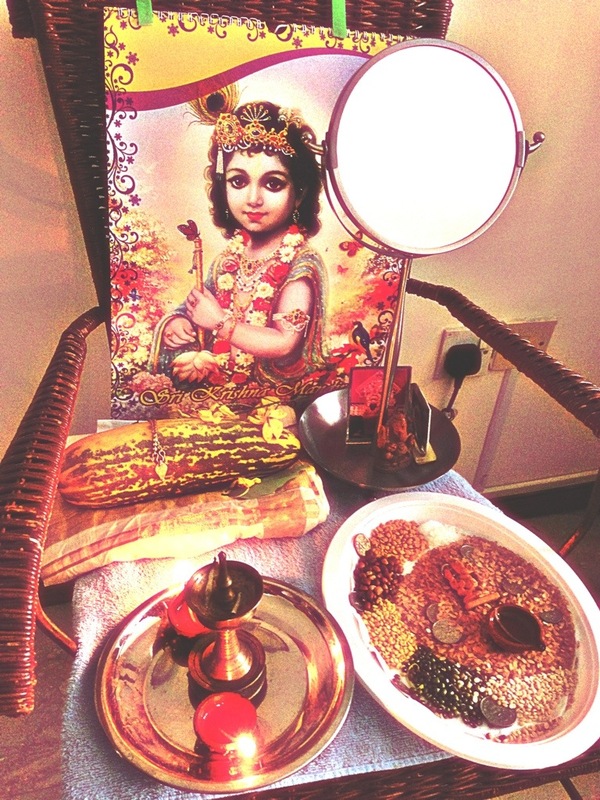 It basically consists of an altar of auspicious objects the mother / woman of the family prepares the night before Vishu, for the rest of the household to see first thing in the morning. It signifies what the person hopes to find in the coming year. Because my colleague had just moved in a week ago, she didn’t have a proper shelf or table to put the altar on. 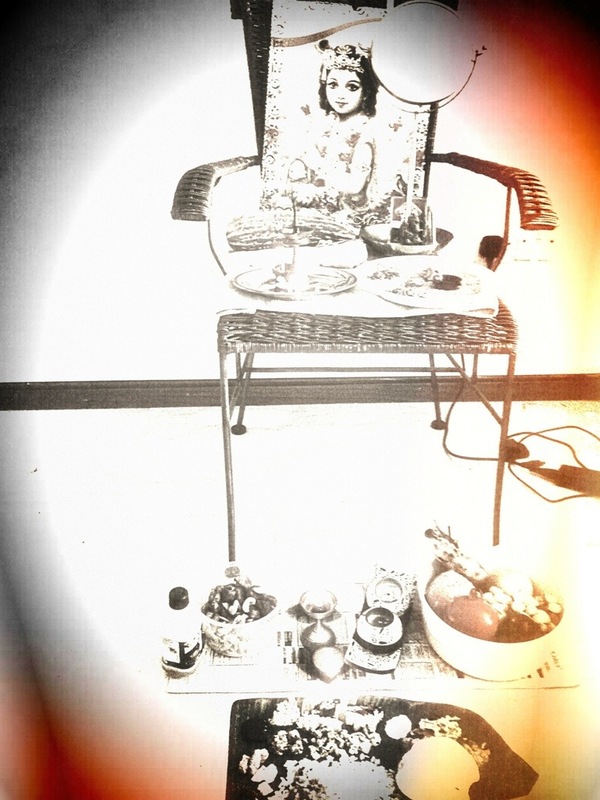 She made do with a chair, where she put Krishna’s picture and adorned that with “gifts” they could offer and would like to receive in return (gold, money, food, etc). The Indian guest we sat with mentioned that this festival originally started with the Southern farmers who offered their deity crops they took from the land (seeds, grains, fruits, etc), for better bounty in return. 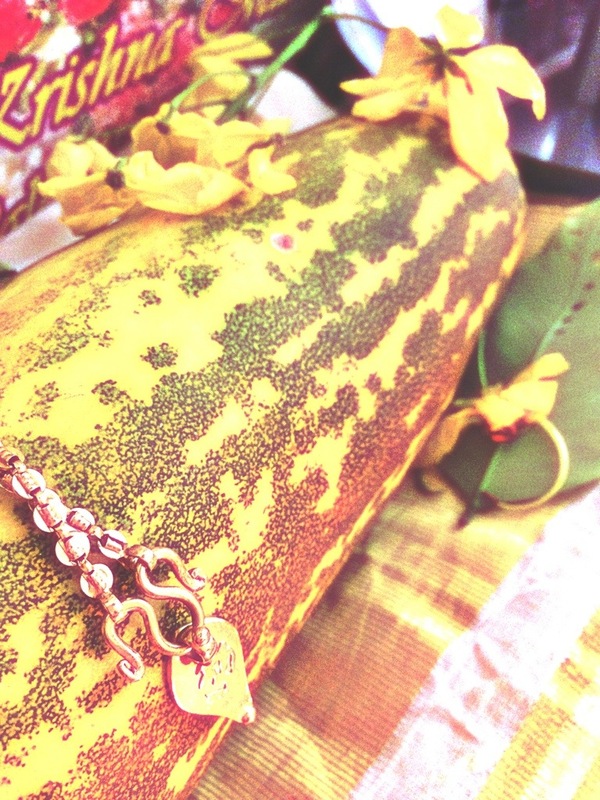 They traditionally ate from wide banana leaves using their hands, while sitting on the ground. 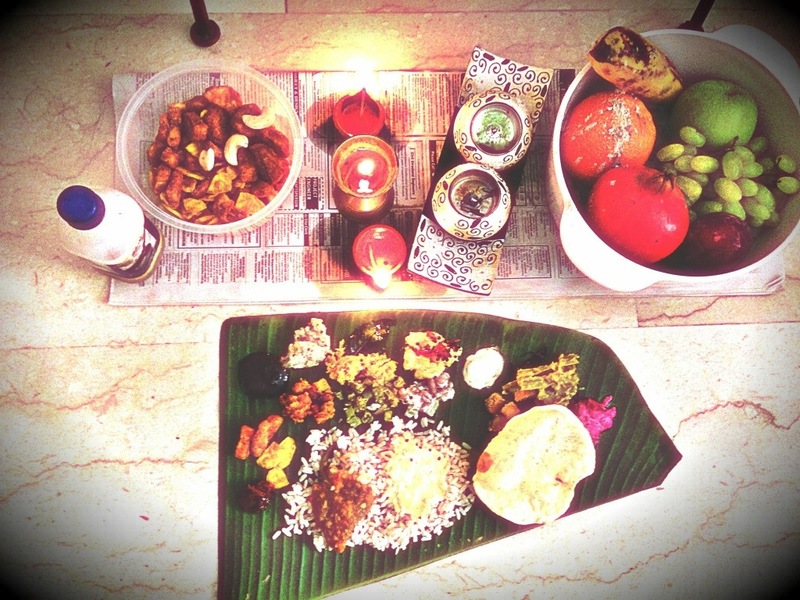 While these were things the rural folk did for generations, they are also practices observed by modern Keralites and Tuluvas to commemorate Vishu. 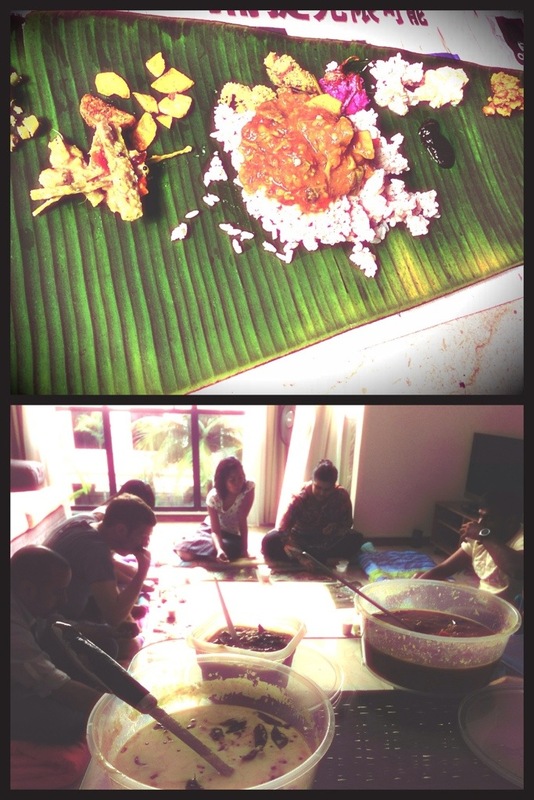 Back at my colleague’s place, we sat on mats in a semi- circle with empty banana leaves waiting in front of us. Little by little, the hosting party went all around to put spoonfuls of various sauces and vegetable dishes until the leaf looked quite like a rainbow. 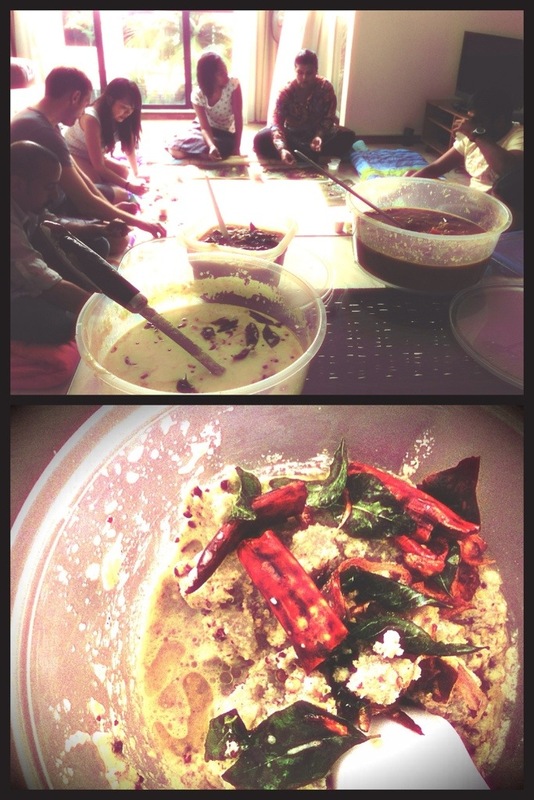 Served with steaming red rice and sheets of papadom, the small amounts of sauces were surprisingly very filling. It’s always great to learn about different cultures. It makes you appreciate how huge the world is, after all; how full of interesting details embroidered in golds and boiled in cumin. I’ve always believed that when you are more appreciative of the world and its many colorful peoples, the planet embraces you ten- fold. There is little chance of becoming hateful or afraid or homesick because you will always find family in the people you embrace.